While we spend most of our energy focusing on smaller worlds, sometimes the broader world will give us a nod as well. 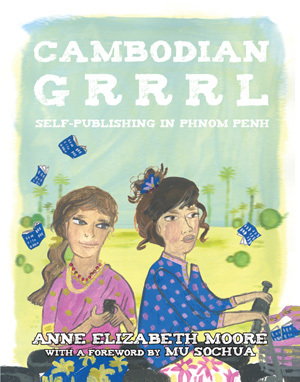 In this case, we are proud to announce that Anne Elizabeth Moore is a winner in the 2012 Society of American Travel Writers’ Lowell Thomas Travel Journalism Competition, taking the bronze award in the ­­­ Travel Book category for Cambodian Grrrl: Self-Publishing in Phnom Penh. Winners of the award, the most prestigious in the field of travel journalism, included National Geographic Traveler, Outside Magazine, the New York Times, Los Angeles Times, Washington Post, Portland Oregonian and Afar Magazine. Moore’s follow up (Oct 1st), New Girl Law: Drafting a Future for Cambodia tells the story of Moore’s time working with a group of young female students re-writing the Chbap Srei, a 17th-century book that intended to establish a code of conduct for young women, which culminates in a grand discussion of human rights and gender equity, and a hand-bound book for all participants. Tragically, the completed book was banned and censored in both Cambodia and the U.S., but through Moore’s intimate style, the story of these brave writers and their chilling struggle reaches the world. I wish every book was like this. I opened this book when it first came in, here at Microcosm, and started skimming through the first page to check it out. Before I knew it I had read the whole thing! 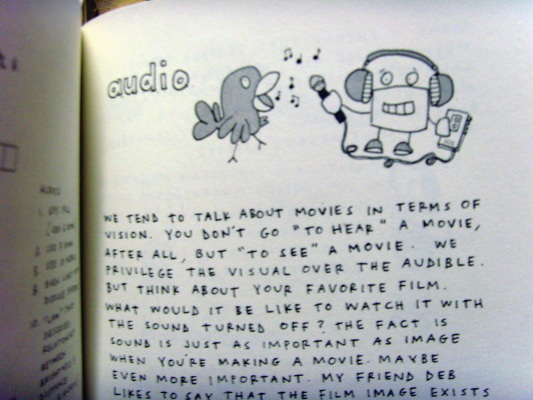 The delightful fluency of the text and the cute illustrations just kept me enthralled. Now I know things about making movies that I never thought I would. 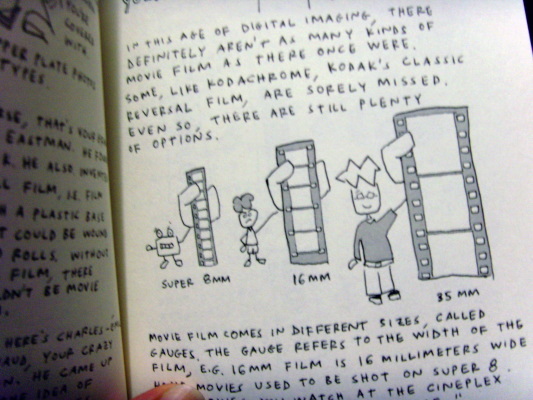 I always thought it would take some sort of classes and textbooks to learn about the different kinds of “old-school” film, all the types of lenses and what they’re used for, the different ways of lighting a scene, or ways of exposing video. Though I still have much more to learn, I now have a general understanding of these things. Learning about “film grains” and “depth of field” got me thinking about things I enjoy in movies that I’d never really thought about before. I’ve recently been given the opportunity to score a documentary and it has started opening my eyes to the movie making world, but I never considered making my own movies. 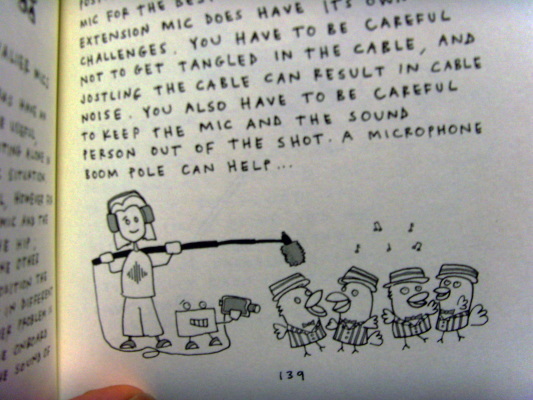 I’m a musician that enjoys all things audio, but this book forces me to consider taking up this art-form as well. 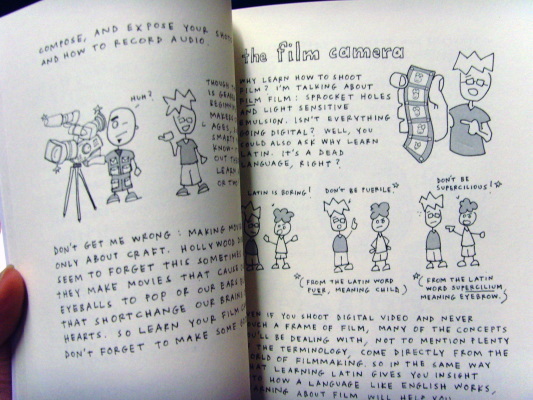 After all, anyone can make movies with this book. I especially enjoyed the audio section. Despite knowing most of the stuff in that particular section, It was a really great refresher. 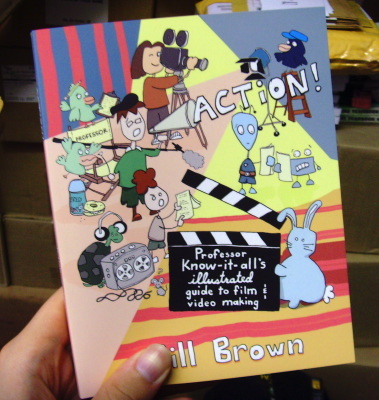 Even movie making professionals should read this to get their feet back on the ground and get them in touch with why they might have wanted to make movies in the first place. 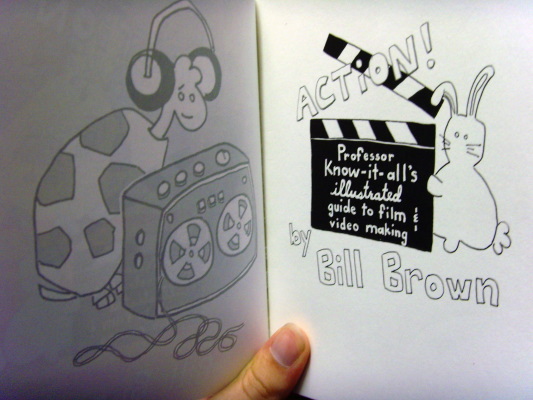 Bill Brown certainly has a way of making even the most complicated matters seam feasible. 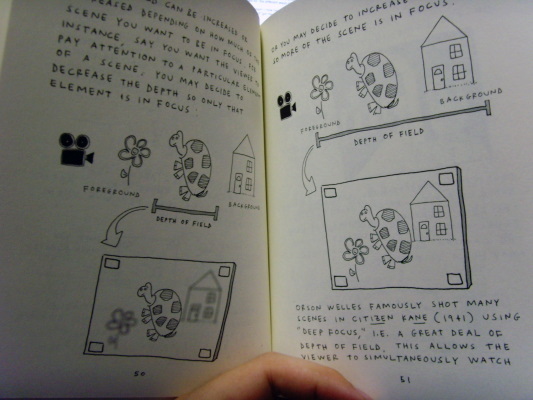 There’s something about this book that tugs at me to try new things. You can feel his enthusiasm jump out of the pages. 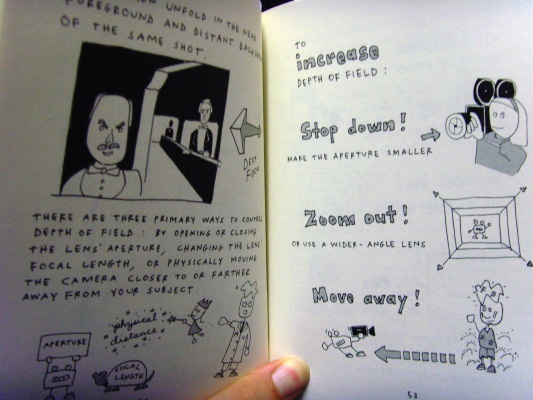 This book is great for anyone of almost any age. It will be on my bookshelf for the foreseeable future, awaiting any day I might need a refresher on the numerous subjects this book covers. Thanks Bill! There’s been some changes around Microcosm HQ lately, both in the physical sense (our little Jeff is growing up so fast!) and within the organization. 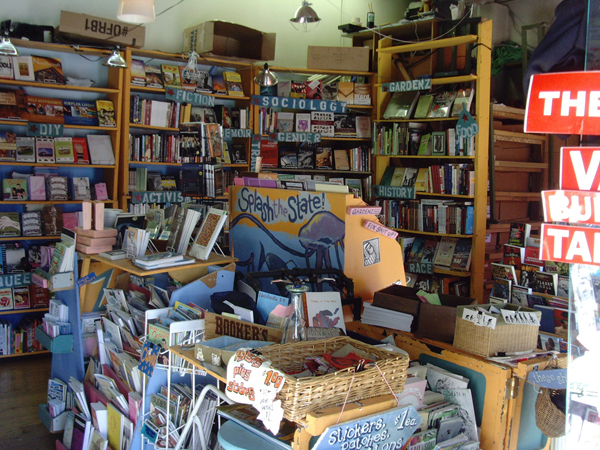 After a couple weeks, a thousand screws, gallons of iced tea, and (quite literally) tons of books, the store has gone through a bit of a remodel. 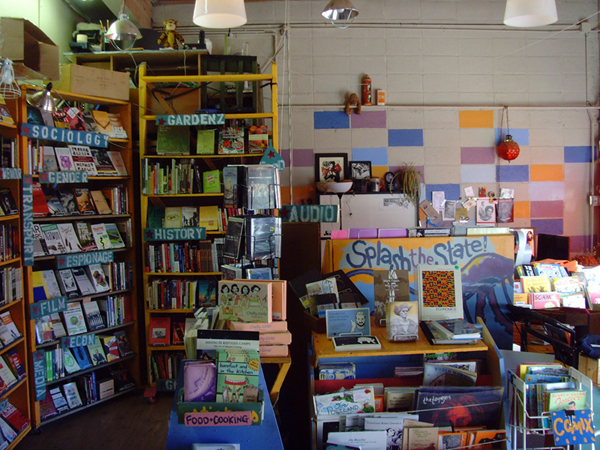 It’s still the Microcosm you remember, but we are now stocked with so much good stuff that we had to lift our desks off the ground to make room for it all. Come check it out and browse around! And don’t worry, that’s not the voice of God when you walk in, it’s just us from our new lofts. Our Big News is that as of August 1, Microcosm split into two distinct operations in two different states. 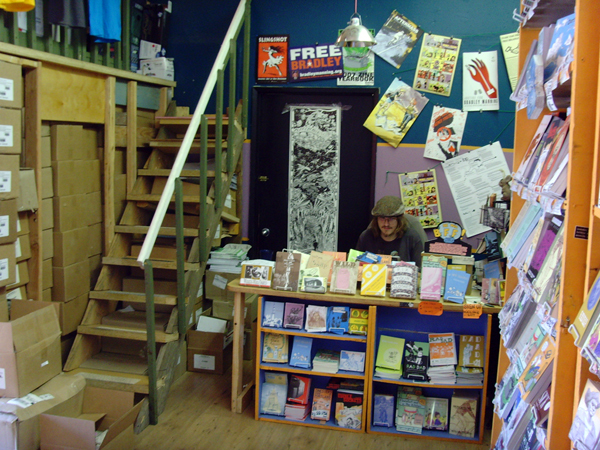 Microcosm Publishing still maintains the store you know (and hopefully love) at 636 SE 11th Ave in Portland and will continue to publish books and bookettes for years to come, but our distribution brethren are now their own separate organization, distributing the same thousands of zines, books, stickers, patches, and more that you know (and hopefully also love). We’ve changed our management structure to the same traditional model we used from 1996-2005 that allows staff to focus on their individual job duties rather than everyone having to learn to manage an organization and needing decisions to be processed through eleven co-workers. We think this new transition will help each group to work closer on what we’re each good at (publishing or distributing) without having to constantly focus on the big picture and organize hours long meetings with each other inter-state (Have you ever had a seven person, four hour meeting on Skype? We don’t recommend it.). After seventeen years, we still do this because we love it, so look for dozens of new titles coming out in the coming months and years—including the long awaited Make It Last! Check out the photos of our recently re-engineered store/office/warehouse.